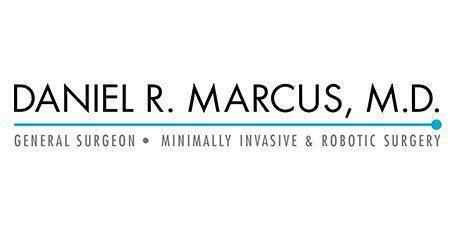 Dr. Marcus helps his patients from Marina del Rey and West Los Angeles, California to look and feel their best with SmartLipo, a minimally invasive procedure with less discomfort, a shorter recovery period, and smaller incisions than with traditional liposuction. What is SmartLipo and who may benefit from it? SmartLipo is the latest liposuction technology that is delivering better cosmetic results than traditional liposuction. Often referred to as “laser liposuction,” it uses laser energy to liquefy fat that is then removed either through a tube or naturally by the body. It’s perfect for getting rid of the resistant fat that people can’t lose no matter how much they exercise or diet. Unlike weight loss surgery, which is for extreme weight loss over time, SmartLipo’s results are immediate and a great way to remove stubborn weight in the belly, neck, and arms. Smart Lipo uses three different laser wavelengths to melt fat cells and tighten skin simultaneously. High-definition, contouring results are customizable for patients when using this technology. The three lasers can be used separately or together in something referred to as MultiPlex technology. This type of liposuction has been extremely effective and the loose skin issue associated with many traditional forms of liposuction is not a problem here because of the advance skin tightening effects. One the key advantages of SmartLipo lies in its ability to liquefy fat cells which makes it possible to use smaller cannulas which can achieve results using very small incisions. This allows for quicker healing and minimal scarring. Patients have also reported much less discomfort and tend to see results much more quickly. Additionally, the use of laser technology allows doctors to see in the moment exactly where the cannula is located under the skin which eliminates having to guess. Additionally, patients can see a noticeable difference in their appearance almost immediately, including tighter more toned looking skin. Why is it better than traditional liposuction? SmartLipo is a minimally invasive procedure with less discomfort, a shorter recovery period, and smaller incisions than with traditional liposuction. In addition, your skin will look tightened and toned immediately following the procedure. It’s great for sculpting your body and complements the fantastic weight loss results of bariatric patients. If you have fat around the neck, arms or stubborn love handles…you’ll see immediate results following SmartLipo!